Each week there’s also a devotional reading (that’s where the faith-based piece comes in) that provides a foundation for that week, such as trust, boundaries, or oneness. Obviously the hour or so it takes us weekly to complete our journal isn’t the only time we spend together, but it’s a special sort of time. Between my work schedule, his work schedule, our time with various hockey teams (mostly during season), plus time with family and friends, sometimes it can be challenging to find time together for just the two of us between all the chaos! But this time is special. We’re able to put our phones away and avoid distractions and just have an important conversation about where we are and where we’re going. My husband and I are very close to our first wedding anniversary (July 16!) and for the past seven weeks, the Navigator’s Council has been SUCH a great tool for communication! It keeps us in touch with one another and allows us to sit down and have an open and honest conversation and leave everything on the table. 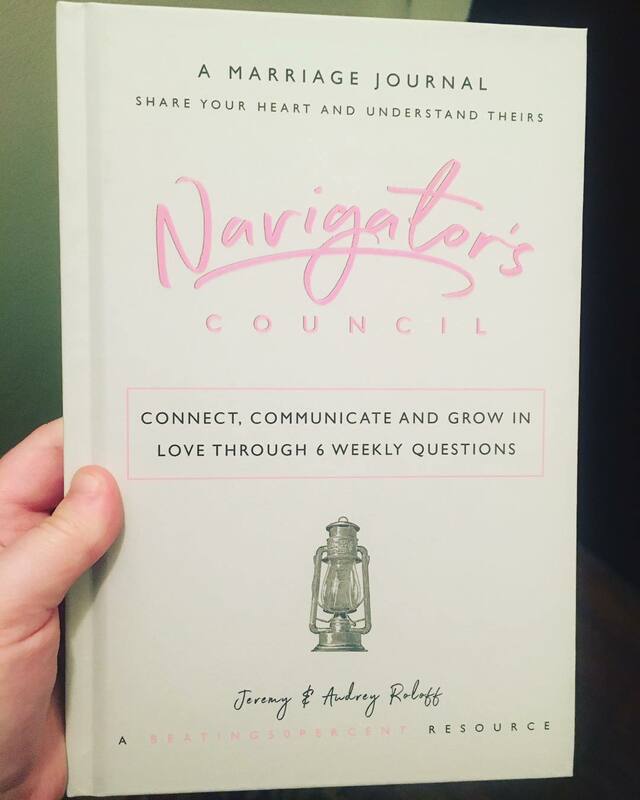 I’m heading to two weddings this summer and am planning on giving the Navigator’s Council as a gift at both!